It is 1903, the young Albert Einstein has been given a provisional appointment as Technical Expert, third class, at the Swiss Patent Office in Bern. He is unknown but apparently quite happy since he is free to pursue his own work when he is not occupied at the Patent Office. He can discuss his ideas with his equally unknown friends, Conrad Habicht and Maurice Solovine. They meet at the self-constituted Olympia Academy to discuss philosophy and new developments in physics. "It's nothing short of a miracle that the modern methods of instruction have not yet entirely strangled youthful curiosity, for this delicate plant, aside from stimulation, stands mainly in need of freedom." A better list of Einstein links than this one! Einstein had a visit from his old friend Besso. It was 1905 and by now Einstein was convinced that light must go at the same speed no matter how it was measured. But how could that be? While walking in the mountains Einstein started to explain the problem to Besso. 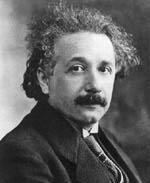 Before he had finished he realised the answer and so special relativity was born. It was just one of the great discoveries made by Einstein in his miracle year. "You see, a wire telegraph is kind of a very, very long cat. You pull his tail in New York and his head is meowing in Los Angeles. Do you understand this? And a radio operates exactly the same way: you send signals here, they receive them there. The only difference is that there is no cat." Relativity was not to be accepted quickly by all. Even today there are sceptics who claim it must simply be wrong. Others seek radical ways to go beyond. Relativity has passed all experimental tests while many rivals have failed. Yet general relativity predicts its own inevitable downfall at the centre of black holes well beyond the reach of experiment. Ultimately it must be superseded by a better theory. Could someone outside the established scientific circles make the next breakthrough as Einstein did? 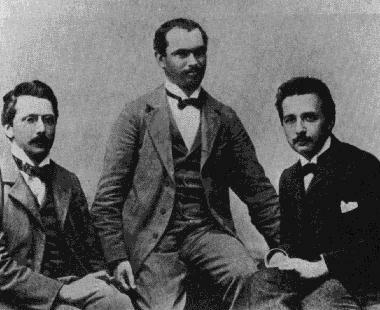 Was Einstein right to cast out the Ether? Picking up where special relativity left off, they say. Colleague: "Professor Eddington, you must be one of only three persons in the world who understand relativity!" Eddington: " oh, I don't know..."
Colleague: " Don't be modest Eddington." Eddington: " On the contrary, I am trying to think who the third person is." Relativity has always had the reputation of being difficult but modern education has adapted. Any bright high school student who has understood the chain rule of partial derivatives is ready to learn about the effects of curved space-time. In time she can reach the leading edge of research in cosmology and quantum gravity which remains a great challenge for great minds. 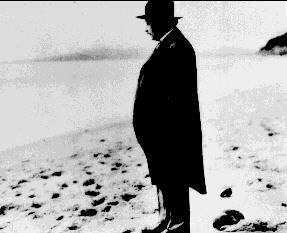 In the last years of his life Einstein was seeking the Holy Grail of physics. His dream was a unified field theory encompassing gravity and electromagnetism. He was too early to succeed. Now we understand that such a theory would have to include the nuclear forces which were barely known at that time. As we approach the end of the century which began with Einstein we may be at last seeing his dream come true. The theory which leads this hope is superstring theory. Rapid progress since 1994 may have provided some glimpses of the ultimate answer. "Finding the underlying laws of physics will be like arriving at the top of the highest mountain in Switzerland. It is a special place from where you can see a long way, but getting there won't mean you have been everywhere. Before you arrive you will be fooled by many false summits. The alpinist knows he must eventually find the true if he has the courage to continue. Can the physicist know as much?" proceedings from the yearly string conferences.